Talk to a connoisseur of anything and they will hit you with some familiar terms used in surprising ways. The jargon of any aesthetic or job can feel like a smoke screen for the content. Cigars provide a rich history and culture to some otherwise simple words. 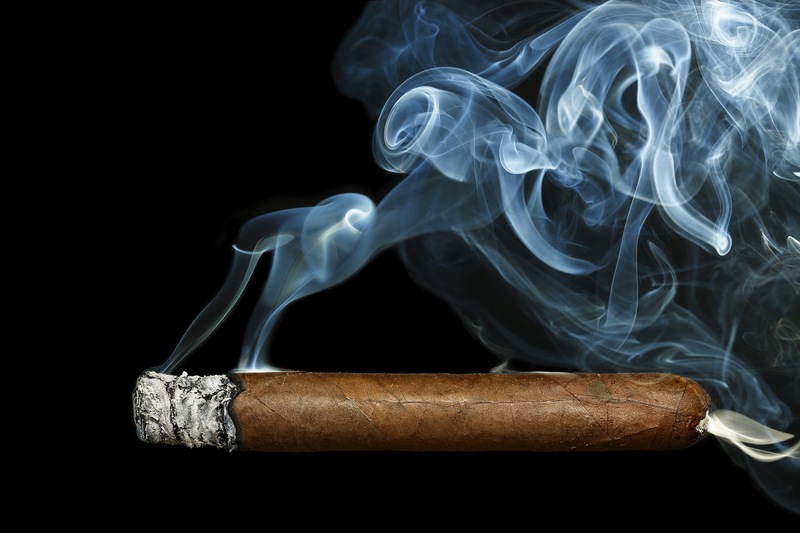 Describing the qualities of a cigar often comes down to strength, flavor, and body. But what's in a cigar that provides these distinctions? We'll go over the simple ingredients and how they affect these terms. A cigar, primarily, comprises a wrapper around tobacco leaves. The leaves, though, that is where so much of the magic happens. You may have heard stories or jokes about wrapping and its importance. There is an art to wrapping a cigar to keep the leaves packed well enough to not fall apart. This, while still being spaced enough to breathe and smolder. Tobacco plants are harvested in a process called priming. Harvesters start at the base of the plant and go through in primings. The leaves at the top become more soaked with nutrients and flavor as the plant feeds them more and longer. This means that even in a single plant a variety of factors can change in a finished cigar. Let's take a look at the scope of each metric. Nicotine concentration reflects only one part of the strength of a cigar. The other component is oil. Oils in the leaves carry more flavors and hit harder. A strong cigar will carry more flavors and those flavors will linger longer (depending on the body). Nicotine concentration affects the euphoric or heady feeling of smoking a cigar. Remember that nicotine is a stimulant. You have one amount and it brings you up, you have too much and it sends you crashing. Plan accordingly and savor a full strength cigar slowly. Talking about flavor makes some people edgy. It is easy to talk a bigger game than you really understand. to avoid trying too hard we have a guide for enjoying flavors over here. Flavors exist across a spectrum influenced by taste buds and smell. Still, we've noted which are stronger and more subtle and cataloged them in sweet, bitter, sour, and salty. A cigar flavor chart like this can help you understand taste descriptions. Flavor ranges from light to full. The higher up the scale, the more complex and deep the flavors will be. Unless you suffer from anosmia, you should notice flavors in the mouth and the nose. Take color blindness as an example. Everyone has some part of the spectrum they don't see. Anosmia works the same way, some people don't detect some smells. Like strength, the higher up the scale in terms of light through full-bodied a cigar is, the more you will pick up. When describing body types you can think of them in the same way as the coating or lasting on the palette of any food. Flavors that linger represent a fuller body. Flavors that hit and run tend to be light bodied. The individual tobacco leaves inside make up what's in a cigar. What you experience is dictated by the combination of strength, flavor, and body characteristic. Consider picking up a sampler and explore how these interplay for yourself!